Beanies are your best friend during this season. 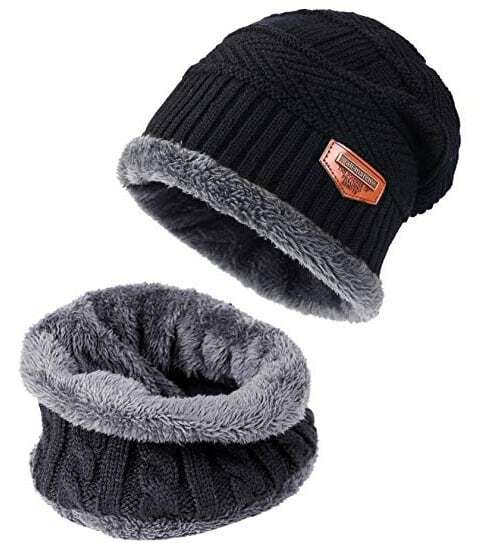 They keep your head warm when it’s cold outside, and plus they can look stylish as well. When shopping for your next winter wardrobe, don’t forget about the beanie. They can be helpful, especially if you’re outdoors a lot. Not to mention, waterproof beanies can help keep your head dry when it’s snowing. Here are some of the best waterproof beanies to check out. For those on a budget, this is a cheaper beanie at under $10. It’s good for those who just want something comfortable while they’re walking outside or while they’re casually working on something. It’s windproof, waterproof, and made from a lining that helps protect it from the elements. Made from acrylic and polyester, it’s an all-around great product that while not designed for the toughest jobs, it can get the job done. This is similar to the Proclimate in that it’s around $10 and is more of an apparel beanie than one that is specifically designed to cater to someone working hard. However, it’s qutie a stylish beanie and one that looks comfortable just from the picture alone. It’s good for casual use, and it’s quite stretchy. In fact, the only sizes available are for kids or adults, so it makes the selection process much less confusing. All in all, we highly recommend this beanie for all sorts of different uses. This is a more expensive beanie, going for around $25. Style-wise, it does lack design besides just being a black beanie with the logo on it. However, you do get what you pay for. This beanie has two layers to keep everything extra warm. It can shake off water, keep you cozy during winter, and plus, it just looks stylish to boot. All in all, it’s a beanie that’s worth trying if you have a tough job. Dexshell is known for their high-quality goods, and this beanie is no exception. It comes in quite a few colors, allowing you to look stylish, and it’s quite enforced. This allows you to stay warm and dry no matter what the elements are. 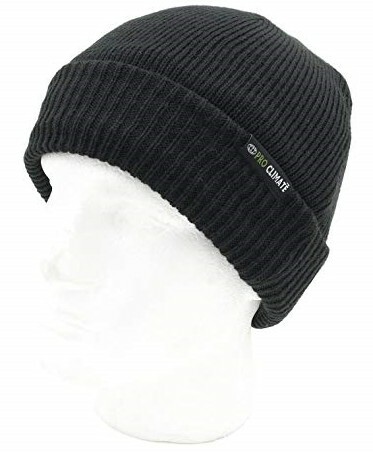 At around $30, it’s a pricier beanie, but worth it if you want a high quality beanie for a tough job. We say it’s definitely worth the price. It’s hunting season, and one should be able to disguise themselves when hunting their prey. 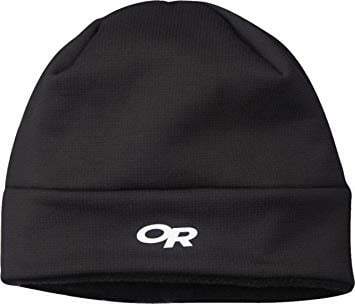 Until now, all of these beanies stick out if you wore them. From being a plain color to having patterns that any animal would recognize, you don’t want to wear them when hunting. However, this beanie is the one that will change that. 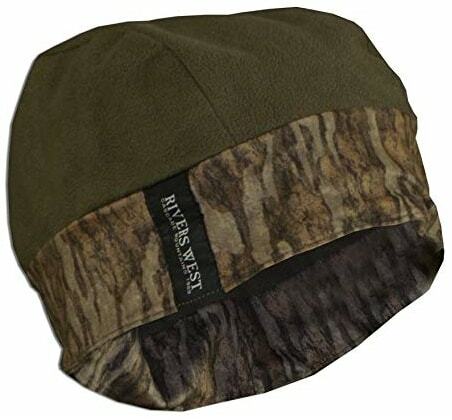 This beanie is waterproof, warm, and has a camo design. 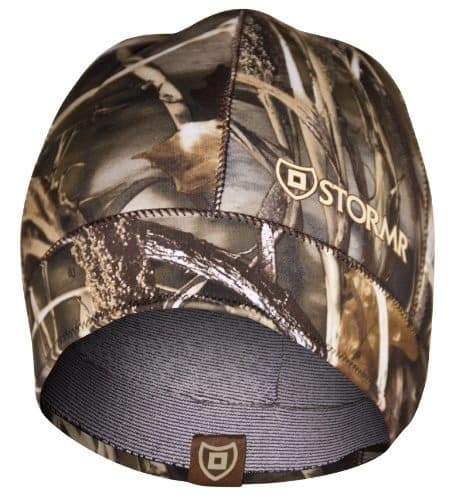 This allows you to blend in with your surroundings whenever you go hunting. It is a more expensive beanie at around $35, but for a hunter, it’s an essential item that’s worth every penny. This is another hunting beanie that’s worth mentioning due to its unique feature. When hunting waterfowl, you want an orange beanie. When hunting big game, you’ll want a camo beanie. Why buy two waterproof beanies when you can just buy one that is reversible? This beanie is a bit cheaper at around $17, so the quality may not be as good as Stormr’s, but for the price, it’s a worthwhile investment. This beanie is a little bonus, as we don’t have confirmation of whether or not it was waterproof. It did show up while searching for waterproof beanies, but we don’t know if it’s waterproof or not. With that said, the Zoomup beanie mentioned because of how versatile it is. 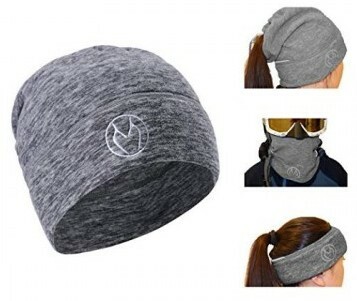 It’s windproof, and you can turn it into a face mask and a headband. It’s definitely worth a buy if you want a 3-in-1, but until we have confirmation if it’s waterproof or not, you may want to look for something else if you really need a waterproof beanie. Also, you’ll want to make sure the product is indeed waterproof. There are times when the search results may give you a beanie that’s not fully waterproof. Read all the details and ask if needed. Do the research before you buy. More people need to look into the clothes they buy, especially closed designed to protect against winter. Winter can be dangerous in addition to feeling uncomfortable at times. Something to remember when it comes to purchasing these beanies is that waterproof doesn’t mean it’s fully resistant to water. There are different levels of waterproof. Most can stand some snow and a bit of rain, but it may have trouble keeping up with a downpour or a blizzard. Consider the weather where you live. If you live in a place with lots of precipitation, check the waterproof levels and see if they’ll hold up. Don’t buy a cheap beanie and be surprised when it feels damp and soggy. If you’re new to the beanie world, you may wonder why people wear beanies. Here are a few reasons why. They just look stylish. A good beanie can make you look good and can add some mystery to your aesthetic. With that said, some people can definitely pull it off better than others. It makes you warm. This one is a no-brainer. It keeps your head and your ears warm while keeping your face revealed. It’s a piece of winter headgear you can wear anywhere. While a ski mask is the warmest, it may not be wise to wear that in public. A waterproof beanie can keep your head warm and dry when it’s rainy outside or when it’s snowing. You’ll be surprised at the difference it makes when it’s snowing, especially. It’s good for long periods of staying outside. 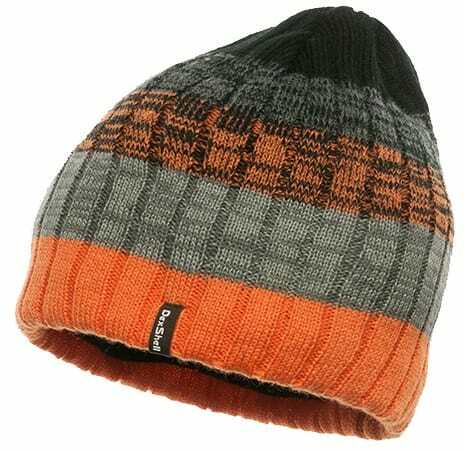 If you work outside during the cold, or just want to go snowboarding, a beanie can help you stay safe and warm. Think about your activity and outdoors level and buy a beanie that will fit your needs. Finally, a beanie is important because it can help you blend in when you’re a hunter. With the camouflage, you can blend in and not have the deer or other targets notice you. For a hunter, a good camo beanie is a must. And these are the best beanies money can buy. Which beanies do you wear? How cold is it where you live? We’d love to hear what you have to say. Next article A Ultimate Modern Man Lifestyle Giveaway!